In clear, vivid detail Chris Crowe investigates the before-and-aftermath of Till's murder, as well as the dramatic trial and speedy acquittal of his white murderers, situating both in the context of the nascent Civil Rights Movement. 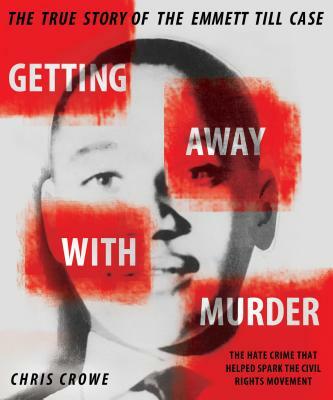 Newly reissued with a new chapter of additional material--including recently uncovered details about Till's accuser's testimony--this book grants eye-opening insight to the legacy of Emmett Till. He is the author of several books, most notably MISSISSIPPI TRIAL, 1955, which won several awards, including the 2003 International Reading Association's Young Adult Novel Award. His nonfiction book, GETTING AWAY WITH MURDER: THE TRUE STORY OF THE EMMETT TILL CASE, was an Jane Addams Honor book. His first children's book, JUST AS GOOD: HOW LARRY DOBY CHANGED AMERICA'S GAME, appeared in 2012. His newest book is a historical novel DEATH COMING UP THE HILL, scheduled to be released in October 2014. Chris married his high school sweetheart, and they live in Provo, Utah, where he works in the English department at BYU. They are the parents of four children and grandparents of two lovely girls and three handsome boys.